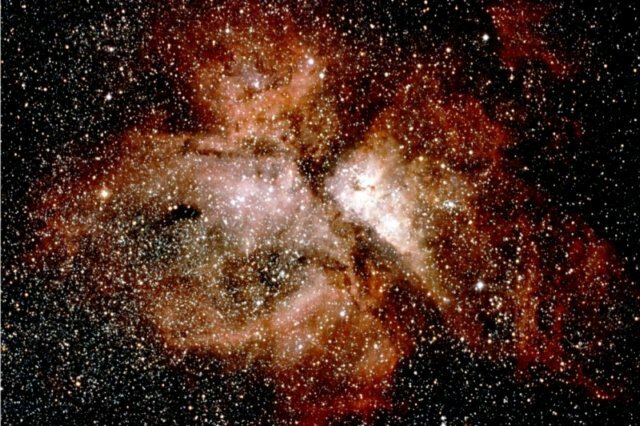 "The Eta Carina Nebula". The brightest nebula in the southern skies, this area contains a super giant red star that has blown off it's outershell. Photo by Steven Willliams, using a 25cm Talkahashi Newtonian @ f/3.4. Kodak 1000 and a 30 minute exposure.